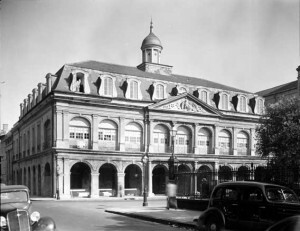 Although Louisiana courts have long exercised their inherent power to regulate a lawyer practicing before them, the use of uniform standards to evaluate lawyer conduct is a relatively modern development.1 In the earliest reported case of lawyer discipline in Louisiana, the Superior Court of the Territory of Orleans in 1810 struck the name of Pierre Dormenon from the roll of attorneys.2 After hearing testimony from “men of veracity,” the court found that disbarment was warranted because Mr. Dormenon, “wearing a scarf . . . marched at the head of the brigands” during a 1793 slave revolt in Santo Domingo.3 Similarly, the Louisiana Supreme Court imposed a twelve-month suspension on Michel De Armas for using “arrogant and indecorous language” in a brief, which the court held, “the law forbids us to suffer.”4 In disciplining a lawyer for apparently self-evident wrongdoing, the court did not labor to find whether either lawyer violated any applicable standard of conduct governing members of the bar. Given that no such standards existed, this should come as no surprise. Mr. F.B. Freeland (Orleans): No, I was not cognizant of that fact; but I looked at the charter of the Association and found there what appears to be the code of ethics for the Association, and I was not cognizant of the fact that the canons of the American Bar Association were our code of ethics. In fact, that is the main idea I had in mind. If that is the fact, then I most cheerfully withdraw my motion. Louisiana’s increasing divergence from the aging ABA Canons reflected a more widespread dissatisfaction with the Canons’ vague and imprecise standards. Such discontent led the ABA to appoint a committee in 1964 to reevaluate the Canons.22 After working for more than four years, the committee proposed, and the ABA adopted, its Model Code of Professional Responsibility in 1969. Third, the Committee decided that it would not propose revisions to rules upon which the Louisiana Supreme Court had acted recently. For example, in the not-so-distant past, the court considered and revised the rules on lawyer advertising and solicitation, as well as those on the sale of a law practice.53 The Committee believed that it would be premature to revise such recently-considered provisions. After the sweeping rule changes made in 2004, the court has periodically amended the Louisiana Rules of Professional Conduct. 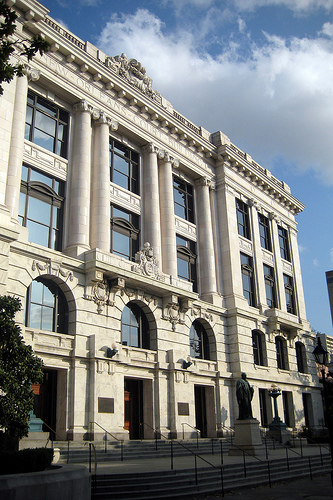 The court adopted some of these amendments in response to requests by the Louisiana State Bar Association, and some in response to changes to the ABA Model Rules of Professional Conduct. Some of the more significant amendments are discussed below. In 2005, the court amended Rules 5.5 and 8.5 to adopt revisions to the 2002 Model Rules of Professional Conduct proposed by the ABA’s Commission on Multijurisdictional Practice. These amendments became effective on April 1, 2005. Between 2008 and 2011, the Louisiana Supreme Court adopted (and partially retracted after federal litigation) major amendments to Rule 7, regarding lawyer advertising. In 2015, the court amended Rules 1.6 to adopt a new paragraph, denominated as Louisiana Rule 1.6(b)(7), permitting a lawyer to disclose confidential information to the extent the lawyer “reasonably believes necessary”: “(7) to detect and resolve conflicts of interest between lawyers in different firms, but only if the revealed information would not compromise the attorney-client privilege or otherwise prejudice the client.” In adopting this amendment, the court made the Louisiana rule similar to the corresponding ABA Model Rule. The ABA adopted similar language because sometimes a lawyer may need to disclose potential conflicts when the lawyer is considering associating with a new firm, or when law firms are considering a merger. See ABA Model Rule 1.6, cmt. 13. In reality, Louisiana lawyers changing or joining firms have long made these disclosures without this express authorization. In 2015, the court adopted a new paragraph, denominated as Rule 1.6(c), that provides as follows: “A lawyer shall make reasonable efforts to prevent the inadvertent or unauthorized disclosure of, or unauthorized access to, information relating to the representation of a client.” Although this is a new amendment, the Louisiana Rules have always required a lawyer to be “competent” and to preserve confidential information. To competently preserve confidential information, lawyers presumably have always been required to exercise reasonable care in this regard. Therefore, this rule does not impose a new obligation.